About Courtney A. Winzeler, Esq. Courtney A. Winzeler is a Partner, experienced litigator and trial attorney at Kahana & Feld. 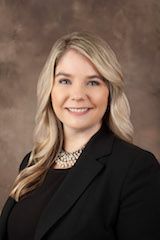 Ms. Winzeler focuses her practice in construction and real estate litigation, insurance defense and general liability in the States of California and Arizona. Ms. Winzeler has spent over 10 years focusing on the defense of contractors, developers, manufacturers, product suppliers, and design professionals in multimillion dollar claim disputes involving high profile, multifaceted construction projects facing claims for breach of contract, construction and design defect, negligence, indemnity, fraud and conversion. Ms. Winzeler takes on both tactical and aggressive defense tactics in all matters resulting in successful early resolutions and/or trials. Ms. Winzeler enjoys spending time with her family and donating extensive time to the fight against domestic violence at Laura’s House, a Nationally renowned family shelter. Ms. Winzeler is also a passionate sports fan who staunchly supports her University of Arizona Wildcats.